Zoom! 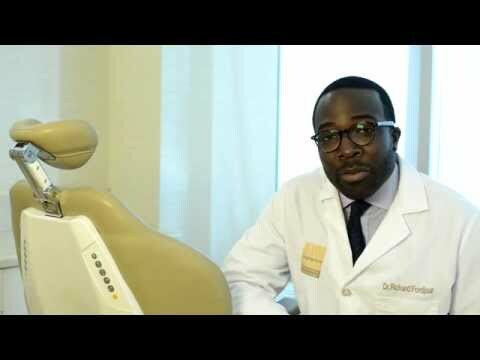 Teeth Whitening in Washington, D.C. Since a patient’s smile is a gift, he or she shouldn’t let dark or discolored teeth stand in the way of sharing that gift with the world. To restore a dazzling smile with cosmetic dentistry, teeth can be effectively whitened and brightened with the Philips Zoom! teeth whitening system. The dentists at Washington Center for Dentistry use powerful, yet gentle light energy to whiten teeth in just one hour, often making the color of teeth many shades lighter. During actual treatment, the patient can relax and watch a movie on Washington Dentistry’s DVD player or listen to music. Whitening teeth is one of the easiest and most popular cosmetic dentistry treatments to improve and invigorate a smile and the overall appearance. For many patients, this procedure is just the first step in remaking a smile with the skill and artistry of cosmetic dentistry. Following the teeth whitening treatment, newly placed porcelain crowns, porcelain veneers, and/or dental bonding material are matched perfectly to the new lighter color created by this tooth whitening sensation called Zoom. "Great Service! I love my new teeth... Thank you Dr. Rinaldi. " "I had an amazing experience with Dr. Rinaldi. I am extremely happy with my new veneers. " "Dr. Rinaldi and his team are by far the most kind, helpful, and attentive dentist practice I've experienced. You can always get appointments very promptly when issues arise. Dr. Rinaldi's experience in cosmetic dentistry is a particular appeal and he clearly cares that his patients cosmetic improvements are maintained, protected, and keeping us looking great for many years! " "I travel down from CT to come here. Havent found a dentist anywhere as good. Dr. Rinaldi and my hygienist Soo Young. They're the best"
Patients meet with the doctor to review the procedure and talk about the results they can expect for their smile. Patients relax in our Zoom suite while our technician takes “before” photos to record the original color of the teeth. The technician prepares the mouth for treatment by placing a soft holder to gently hold back the lips during treatment. The technician applies a special gel to protect the gum tissue. The technician applies a special bleaching gel on the teeth that will react with the special blue light to lighten the color of the teeth. The technician reapplies bleaching gel to the teeth every 20 minutes for about an hour—until the session is complete. The technician removes protective gel from the gums and removes bleaching gel from the teeth. The technician snaps a photo of the newly lightened teeth. The technician presents before-and-after photos to the patient to view the results. The doctor reviews the results. You admire your whiter, brighter teeth! 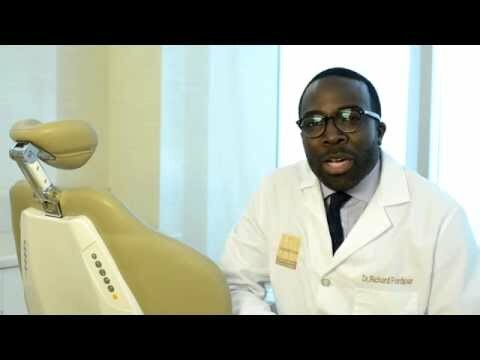 How white will my teeth be after whitening? Clinical studies show that Zoom! treatments average about nine shades lighter. Results vary, of course, because everyone’s teeth respond differently. In most cases, results are dramatic. The goal is to achieve your own optimal, natural whiteness. The dentist reviews the result that can be expected. Severely discolored teeth can be treated and get successful results, but more difficult cases sometimes call for lengthier treatment than the standard one-hour session. How long will it last? Long-term results depend mostly on the patient. Tobacco, coffee, tea, dark soft drinks and lax attention to dental care can work against the results. Regular professional care will help maintain a new Zoom! for up to 2 years, or more. Some people prefer to do Zoom! whitening treatment more often. Are take-home bleaching trays important? Take-home bleaching trays, used one hour or so a week, further lighten and maintain Zoom results. The lighter shade is preserved since, over time, the same factors, cigarettes, coffee, red wine, and normal wear and tear, can change the color of smiles. Is it safe? Yes. The Zoom! procedure does not soften enamel or existing fillings. For more than 100 years, dentists safely used hydrogen peroxide, the main ingredient in the whitening gel. The dental community considers this material an effective whitening ingredient. The percentage of hydrogen peroxide used in Zoom’s special gel is 15 percent, much lower than the higher 22 – 35 percent in other in-office whitening gels. Will it hurt? A small percentage of patients may feel a minor, dull ache following the procedure. Taking some analgesic almost always eliminates the feeling. It’s best to avoid hot or cold drinks for the first 24 hours if there is any sensitivity. Will my dental insurance cover this procedure? As with most cosmetic dental treatment, insurance will not cover the cost. Is this procedure for everyone? Just about every person seeking a lighter smile can benefit from Zoom!, including those with severe coffee, food, tobacco or tetracycline stains. An exam before this aesthetic dentistry procedure will determine promising candidates for whitening. People with a history of TMJ problems, extreme sensitivity to hot and cold food or drinks, and those with many fracture lines in teeth may not be candidates. Will the procedure whiten existing crowns, veneers or bondings? The Zoom! treatment successfully removes stains from caps, veneers or bonded teeth. But a whitening treatment in general cannot change the color of crowns, veneers or bondings. A consultation with a dentist will help determine what to expect. Can I have this done if I am pregnant? While there are no known constraints for women who are pregnant, some might experience gum sensitivity. Pregnant women might wish to delay the procedure until after pregnancy. How can I maintain my new whiter teeth? Brush twice daily or after each meal. Floss daily. Use a whitening toothpaste and a soft-bristle toothbrush. Use take-home bleaching trays one hour a week, or as needed, to maintain the lighter color. Visit your dentist for regular hygiene visits and check-ups at least every 6 months. Keep your teeth white and healthy looking for life with Whitening for Life! Ask us about complimentary bleach gel for life! At your next preventive hygiene cleaning and check-up, we provide custom bleaching trays and bleaching material, for a one-time enrollment fee of $99. From that day forward, you will receive at each recommended hygiene appointment, a complimentary tube of bleaching gel—for life! In return, patients in the Whitening For Life program must stay current with recommended preventive hygiene visits (ex. 3 months, 4 months, 6 months.). These visits are the key to long-term dental health. That’s why it’s our pleasure to provide this extra bonus for patients who are committed to oral health. Patients must provide at least 48 hours' notice about any need to cancel or change an appointment. Even if you follow proper oral hygiene, your teeth can still become discolored over the years due to aging, food and drink and basically, just living life. Since you can't stop life, you can stop your teeth from yellowing or becoming discolored. How? With Zoom teeth whitening. This unbelievable procedure can leave your teeth up to 9 shades lighter. Can you imagine that? Even if you can't, our dentists can make it come true with this powerful procedure. Sit back, relax and let us get to work. Whiter teeth can be yours, but only if you give us a call to schedule your consultation.